AIDS United and Project Inform released a report last month examining current efforts to bring safer consumption spaces—protected places used for the hygienic consumption of pre-obtained drugs in a non-judgmental environment and under the supervision of trained staff—to the United States. Research indicates that safer consumption spaces are effective at reducing overdose fatalities, hospitalizations, infectious disease transmission, while also increasing initiation and retention in health care (which leads to better long-term substance use treatment outcomes). They are also cost effective. AIDS United and Project Inform released a report today examining current efforts to bring safer consumption spaces (SCS) to the United States. Download the report here. 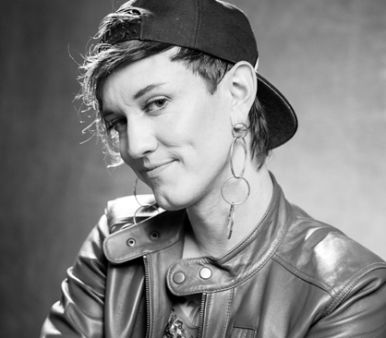 We caught up with Miss Ian, the new Executive Director of the San Francisco Drug Users’ Union (SFDUU), to learn more about SFDUU’s advocacy around SCS, drug-user health, and fighting stigma. Why do you or your organization advocate for the legalization of safer consumption spaces in the U.S.? For the future generation to know that even though they may feel lost, they are not forgotten. And for those that have struggled with countless and horrific traumas, that we will not judge them for seeking coping skills that they feel have kept them sane. Our organization advocates for the legalization of people to have the freedom of choice as they see best in the moment, without that choice ruining the opportunity for them to grow and make different choices in the future. Describe the role of people who use drugs in your safer consumption spaces advocacy. The SFDUU aims to show that people who use drugs aren’t just the simple stereotypes that our society awards us. We are humans with complicated lives and perspectives. We wish to show our worth and that not only should a greater society allow us to participate in it, but that the greater society won’t fair nearly as well without us participating. We are the voice, the heart, the soul and the designers of SCS advocacy and implementation. The Trump administration has said they will take criminal action against SCS. How does this state violence make people who use drugs more vulnerable? Criminalization of drugs is not just a slap on the wrist asserting an unjust morality. It can be the lifelong systemic oppression of someone for making the choice to use a drug, making it nearly impossible to make positive long-term change in one’s life or an entire community’s sustainability. Positive change doesn’t make vulnerable populations more vulnerable. How does your organization address the intersection of housing vulnerability and safer consumption? Allowing people inside is the first step in addressing the stigma against people who use drugs. Making a safe place permits people to feel vulnerable enough to begin to address the issues and obstacles that have become barriers in that person’s life preventing them from obtaining or keeping housing. And it does so in a meaningful, validating, and nourishing way. What do you think is the single largest barrier to safety for people who use drugs in your community? How can we address it? The criminalization of drugs is the largest barrier to the health and safety of our communities. SFDUU believes that substance use isn’t the leading cause of problems in our under-resourced communities. There are many overlapping and intersecting issues that need to be addressed, and it is nearly impossible to begin to address them when our country at large believes that criminalizing people for their choice of pleasure or coping is what’s best for them. Why are SCS essential for ending HIV in the United States? Safer consumption spaces are essential for ending HIV. Even though people may find them to be controversial, the facts don’t lie. Safer consumption spaces reduce new HIV and HCV [hepatitis C virus] transmissions and save lives. The evidence shows that they are a critical piece to ending the epidemic and improving the health and well-being of people who use drugs. Thank you, Miss Ian, for your advocacy and taking the time to do this interview! People can download the report, Bringing Safer Consumption Spaces to the United States, here.